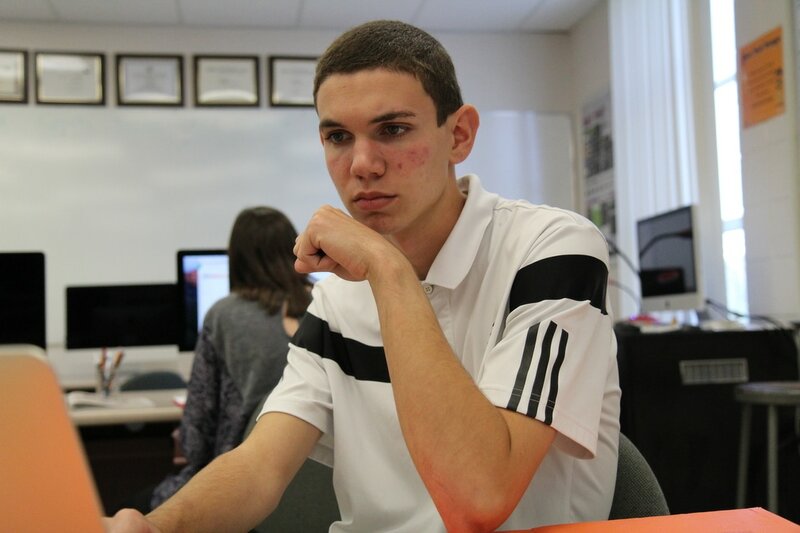 Coming into yearbook my sophomore year I never planned on being an editor. I worked hard to learn design, writing in AP style, photography and journalistic storytelling. In the middle of the year, fellow staffers, and even editors, saw me as more than just a staffer, but as an assistant to them. Taking my past knowledge of photography and graphic design into yearbook I helped students and editors on a daily basis. Within this leadership I also worked to improve myself as a leader. I focused on photography, expanding my creative abilities and meeting deadlines. 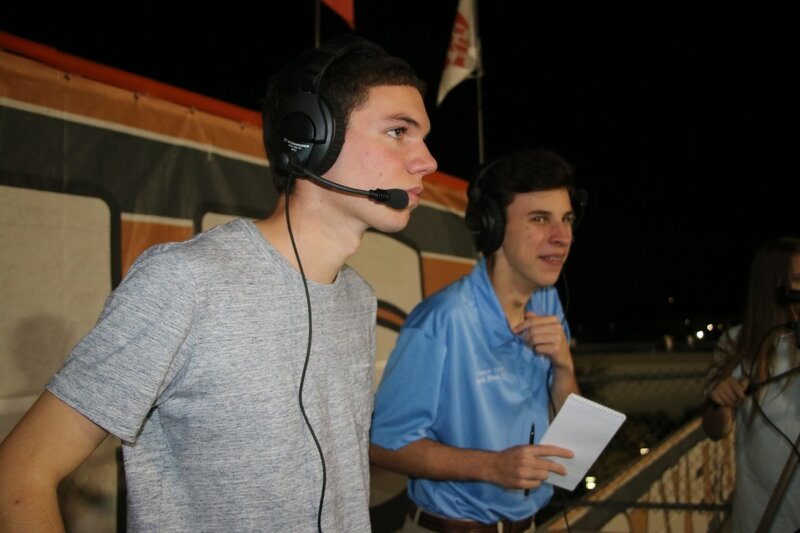 At the end of the year I had over 30 photos published in the Legend 2015, as a first-year student, and pursued the role as the Digital Media Editor. About: Around the class I am known as the go-to-guy for just about everything. Honestly I love this, I enjoy helping the Legend staff and editors improve and learn within their work. Above are just a few instances of leading and assisting others. 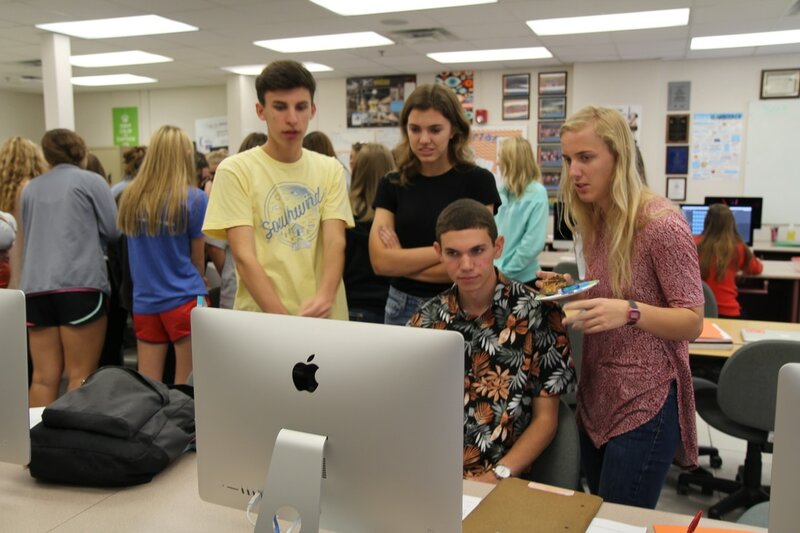 Both yearbook, newspaper and broadcast staffers ask me for help with design, writing, web posts, video editing, Photoshop, Illustrator and Final Cut Pro. I am always there and ready to assist them, as this is important to me. Teaching the staffs is a must for me as an individual and an editor. 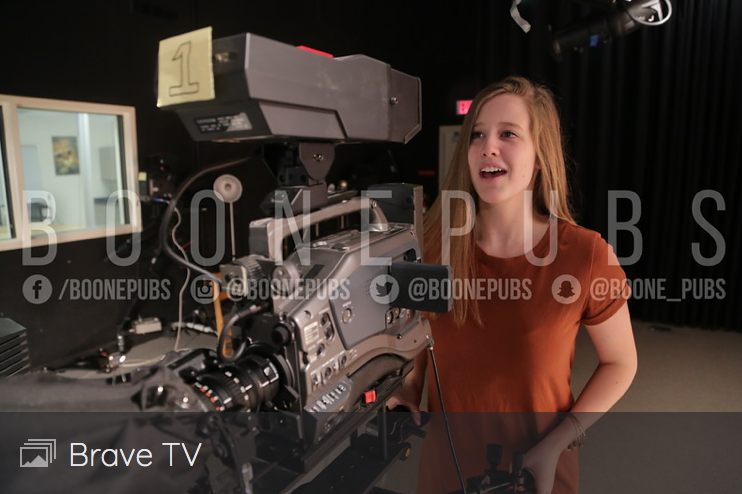 About: Shooting manual on a camera is quite difficult for many people, especially our newer staffers. I figured why not teach them alongside a 17 minute video featured above. I created a video because I believe it's hard to teach someone something without seeing it on the device. I focused on areas of setting shutter speed, aperture, ISO and focus points. I also showed them how shutter speed, aperture and ISO work together to create an image. Afterwards I allowed them to put what they learned to the test. We went outside in dark and bright places and I encouraged them to shoot to see how the settings worked. Staffers thanks me afterwards and commented on how helpful it was to them. About: These days kids tend to make videos and write stories without a story, I focused on storytelling in this class teaching. In Digital Video, specifically, I taught on cinematic storytelling and how the visual verbal needs to tell a story. 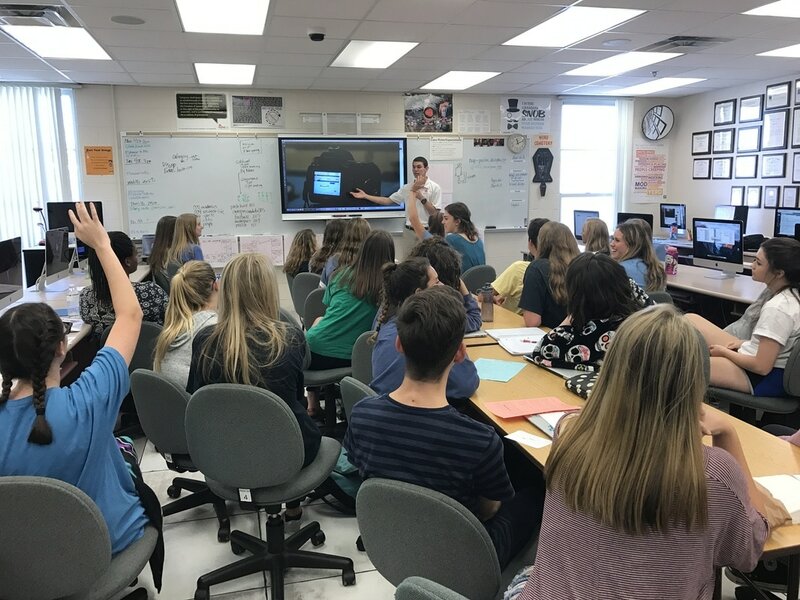 I focused on how to layer an interview, narration and b-roll on a timeline to tell your story in an effective manner.I also helped students create their college video portfolios for competition. I took what I taught and showed them in real time in their timeline always reminding them "It's all about the story." About: Social Media is a huge part of my editor position. Posting content on Twitter, Instagram and Facebook completes our brand. In the summer of 2015, Matt Casler, senior Editor-in-chief, and I worked on the rebrand in which I specifically worked on getting us new followers. In about a month we gained over 800 followers. I did this by following our students and showing them that BoonePubs is an account they want to follow. It's important that we follow our students so we can tag them in photos and quote them in tweets related to them. It's all about user engagement. This year we also expand more into Instagram and I came up with five different photo days for posting. 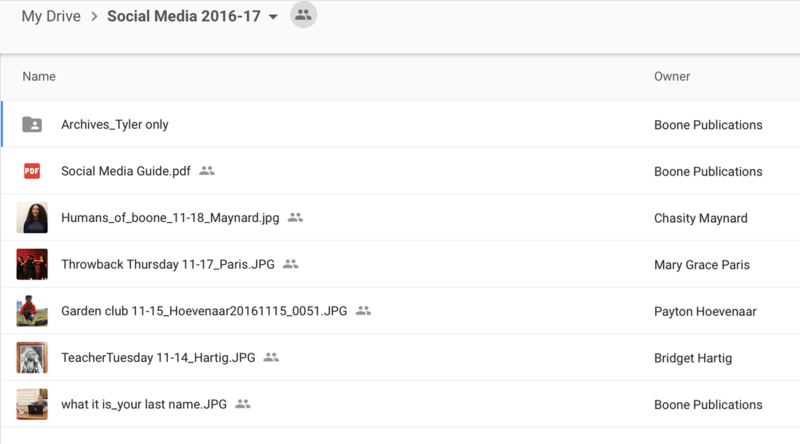 Each day a person on staff submits a photo to a Google Drive photo for me to post. It includes a caption in the metadata which allows for me to know what is happening in the photo. We receive great user feedback in the comment section because who doesn't like seeing themselves on a school Instagram account. The future always interest me because I am headed into college next year. I make sure that people know what my role entails and I encourage other staffers to post alongside me for live sporting events. Our adviser and I remind our staffers that we must be appropriate and ethical on social media. I think this makes us a professional news source for the school.